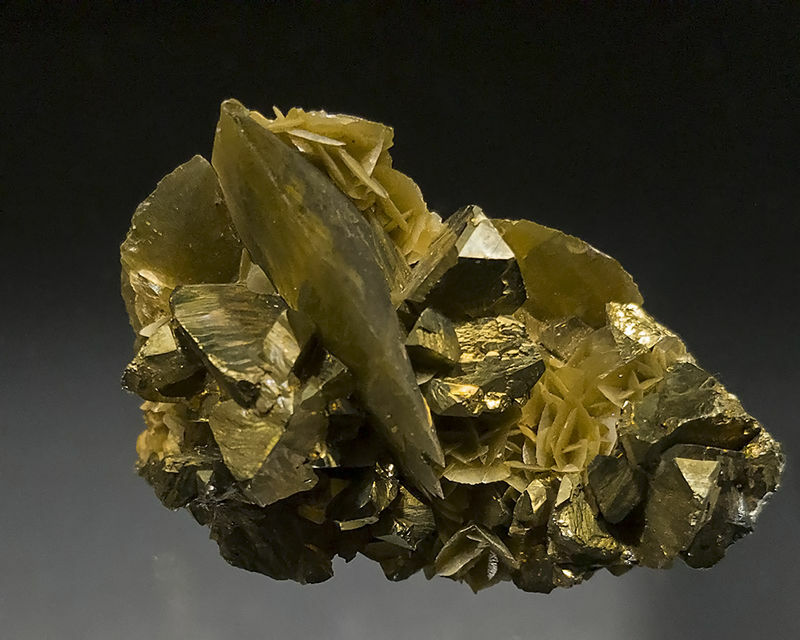 Chalcopyrite intertwined with blades of Siderite. One of Jensa's picks from a shop in Nova Scotia. The photo doesn't do it justice. It is very fibrous, with a nice silky luster. A new Fluorite that just arrived. We have a similar specimen on the way from the same locality that includes the matrix. What would the habit of these crystals be called? 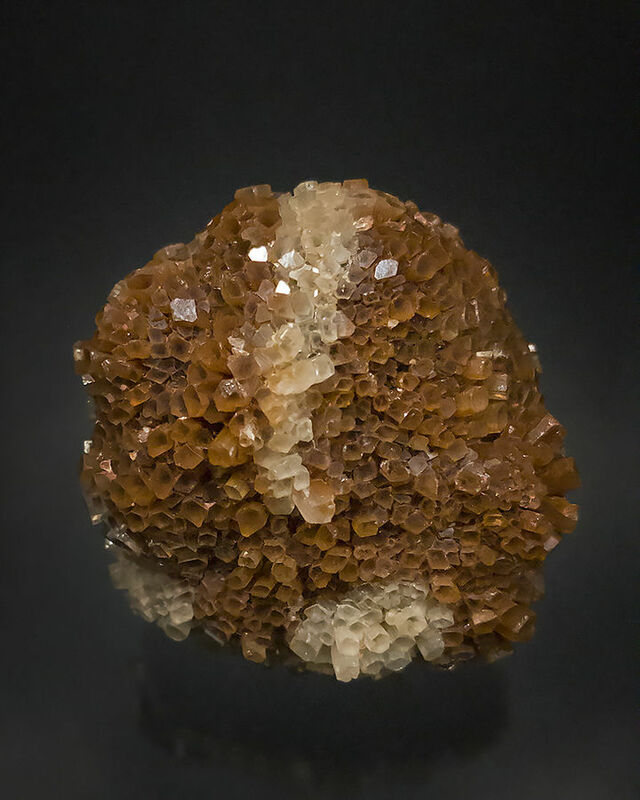 They are cubic but form rounded mounds of crystals. Cubic globular, just globular, something else? Our first Beryl. As small as it is, the colour is so vibrant, it stands out from across the room. 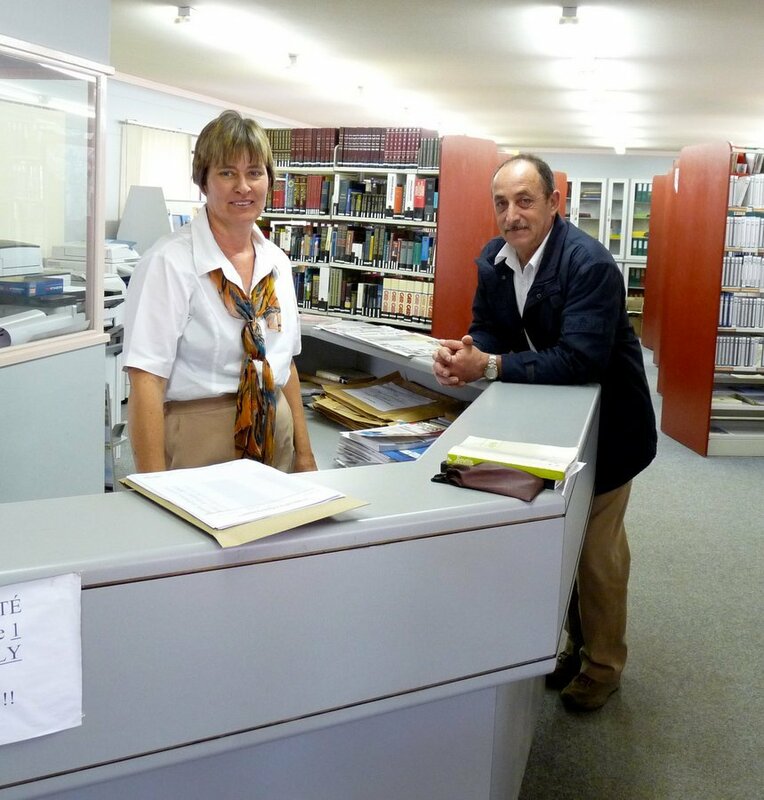 A beautiful choice of international minerals, Richard and Jensa! My wife picked this specimen. It wouldn't have caught my eye at the time, but it has really grown on me. The way the crystals refract the light makes them appear hollow. 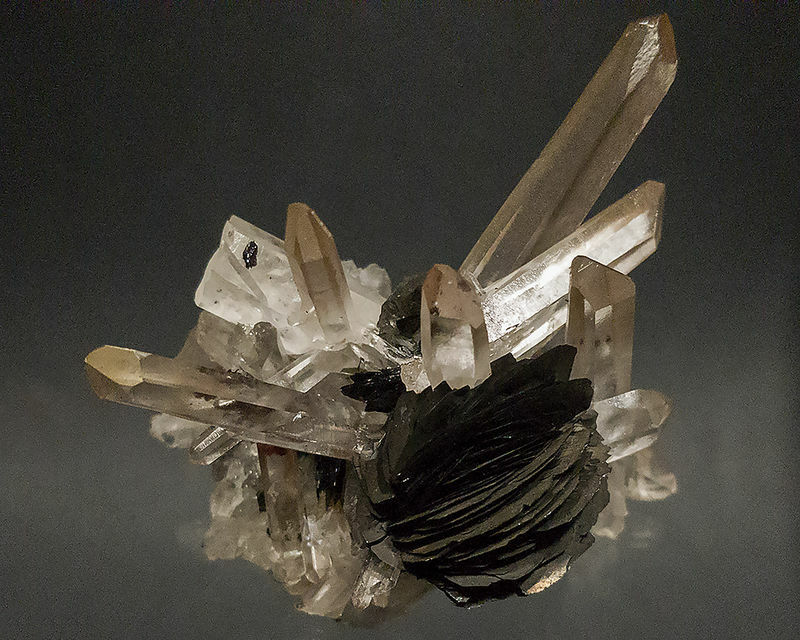 Razor thin blades of Hematite on Quartz crystals that range from clear to slightly smokey in colour. The Hematite is so thin I am afraid to touch it. One of the specimens my wife and I came home with after a trip to Parrsboro, Nova Scotia. It is a six to seven hour round trip, but well worth it. 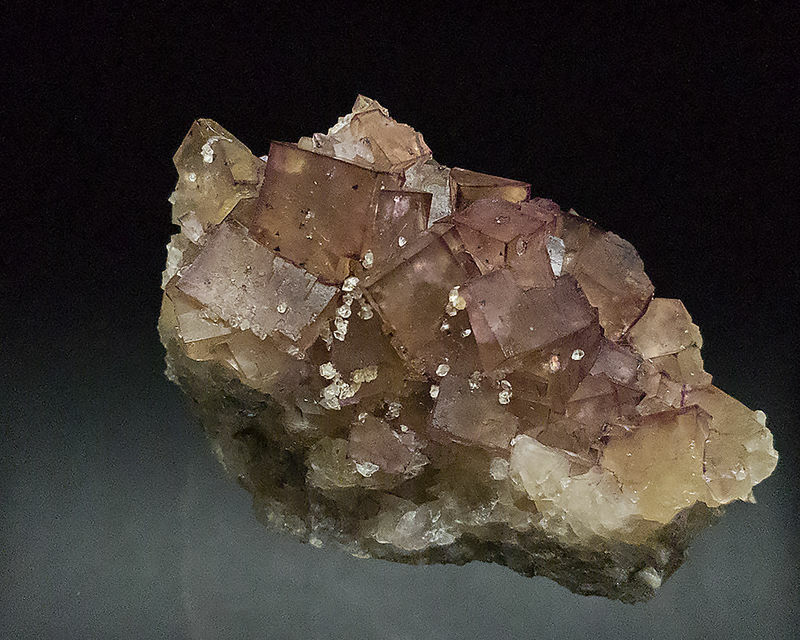 This Fluorite is almost peach coloured with darker purple edges. 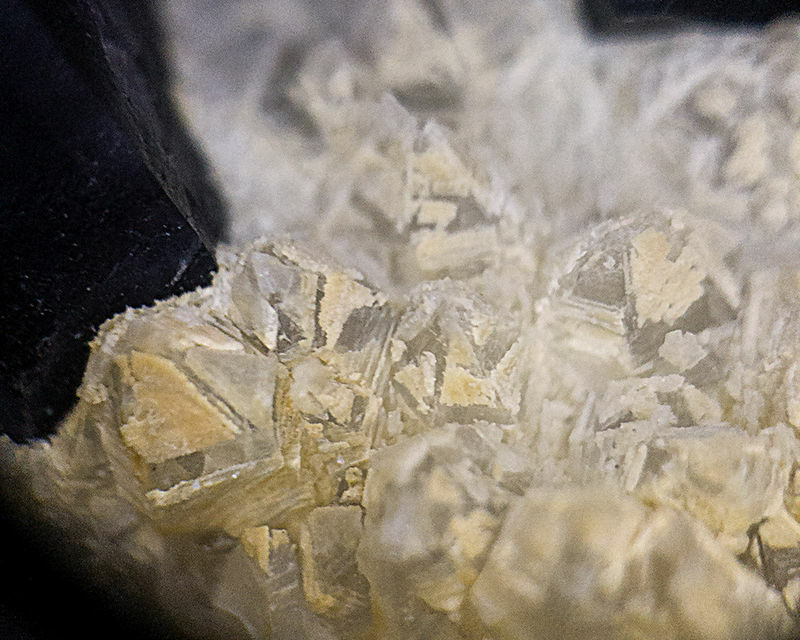 Small Quartz crystals are spread across the surface. 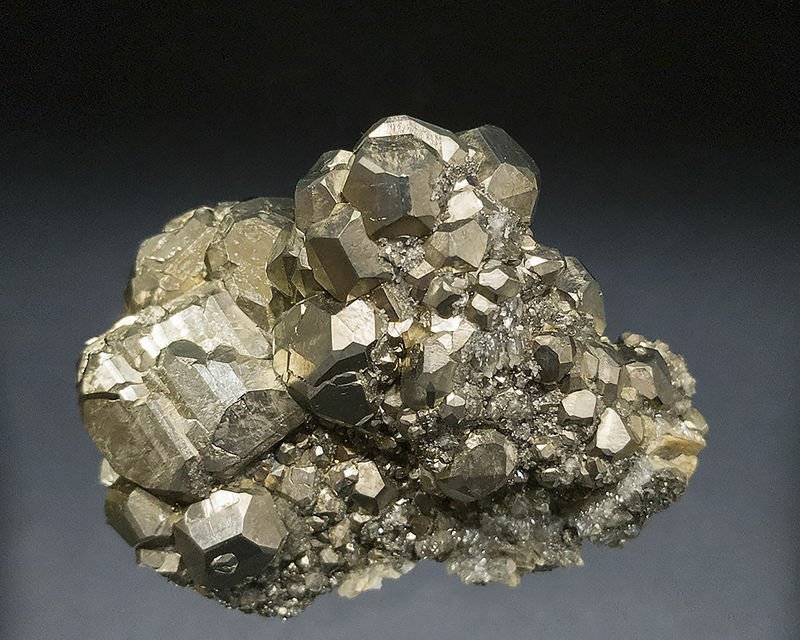 Pyrite with a thin covering of Quartz in some areas. The luster is metallic and very shiny, but overall it has a darker, slightly more tarnished look than the specimens I have from Spain. My wife, Jensa, recently bought this specimen. 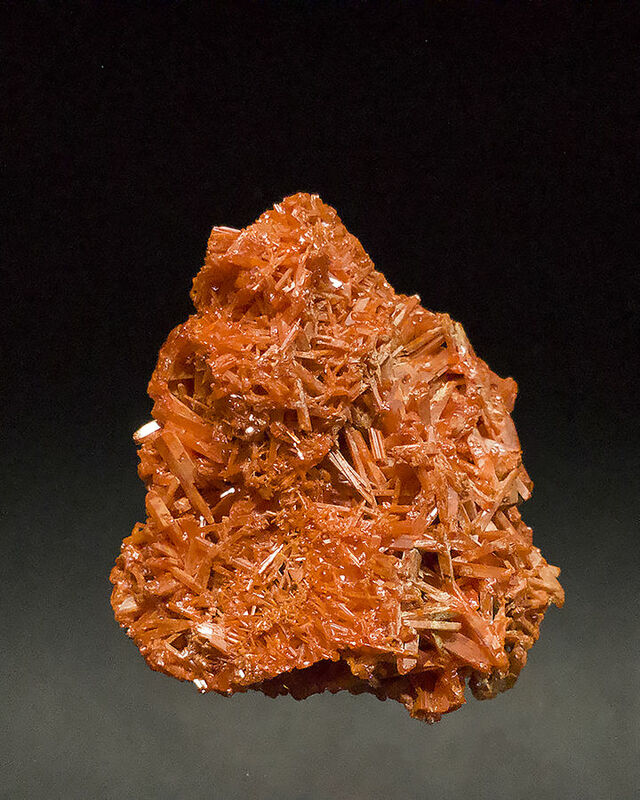 I am slowly trying to narrow our focus as collectors and she continually finds new minerals that appeal to her. What can I say, it works. I love the colour of this specimen. It isn't quite red, but it is a very vibrant reddish orange. 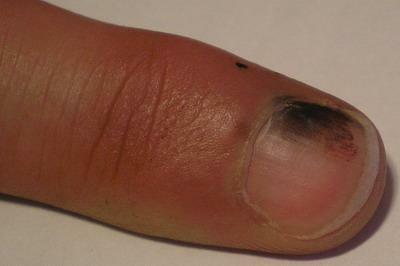 I have learned the colour is where the name of the mineral originates from. From the Greek κρόκος (krokos), meaning Saffron. Thank you Tobi, I have no doubt the enthusiasm will continue! 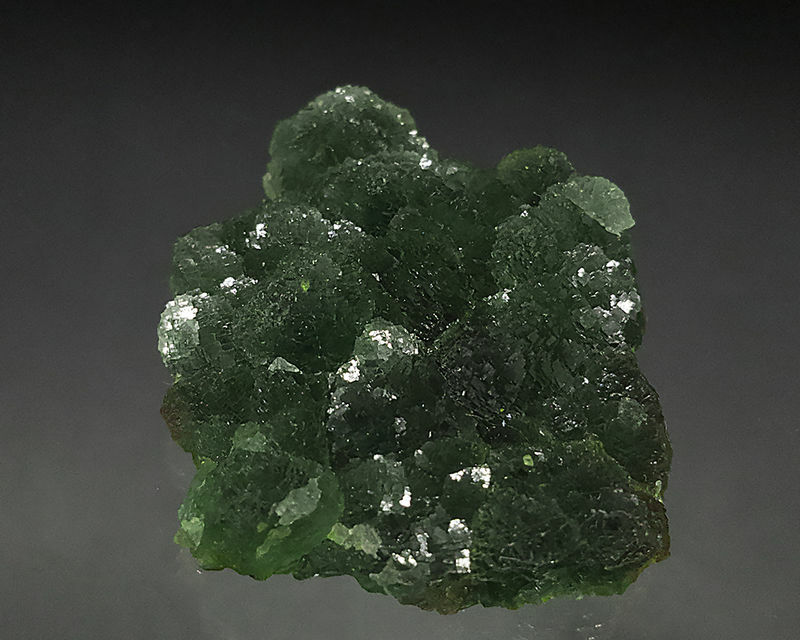 I was going to post an interesting Fluorite that arrived today, but I realized I have absolutely no idea where it is from. 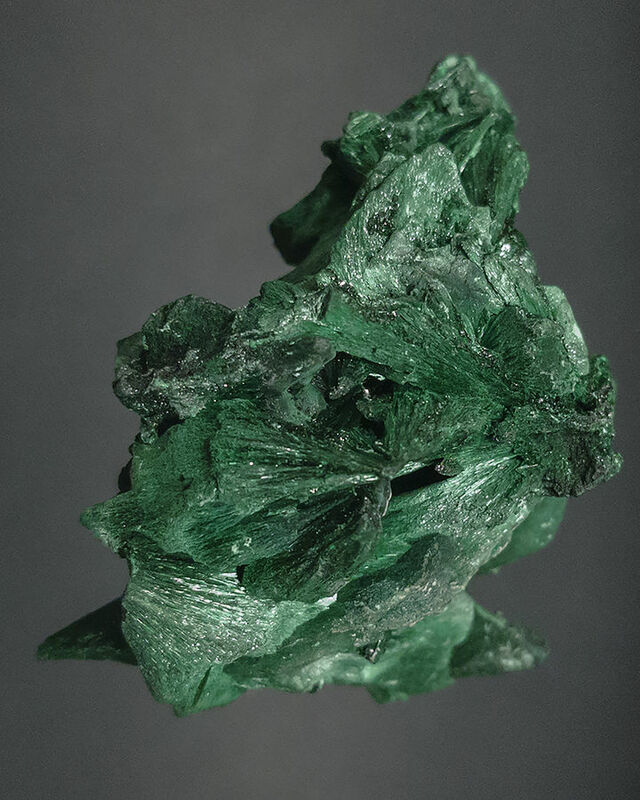 The price and form of the specimen overrode my aversion to buying something from a site that emphasized the "healing" properties of the mineral. I am waiting to hear back from them in the hope I can get some info. 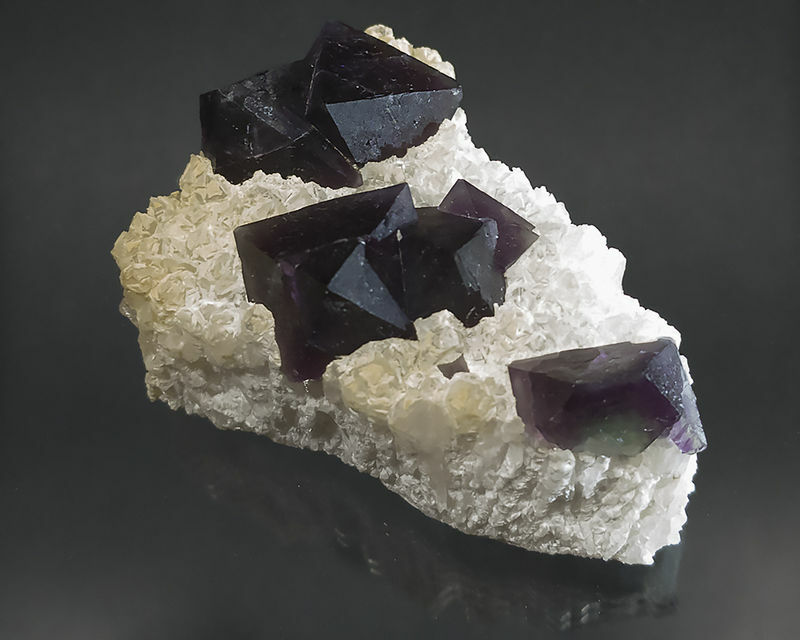 Dark purple octahedral Fluorite on a matrix of Quartz. 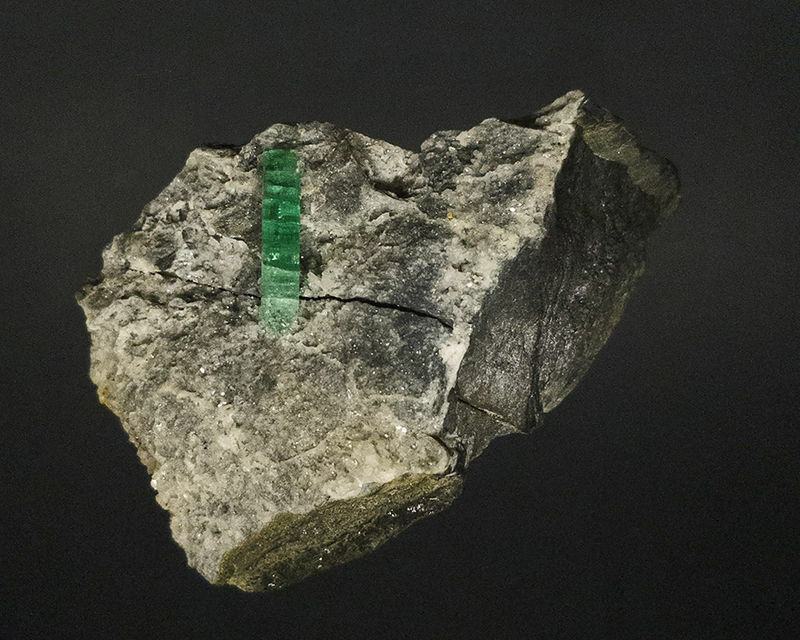 One broken crystal reveals a green center. The Quartz shows iron staining on one side. 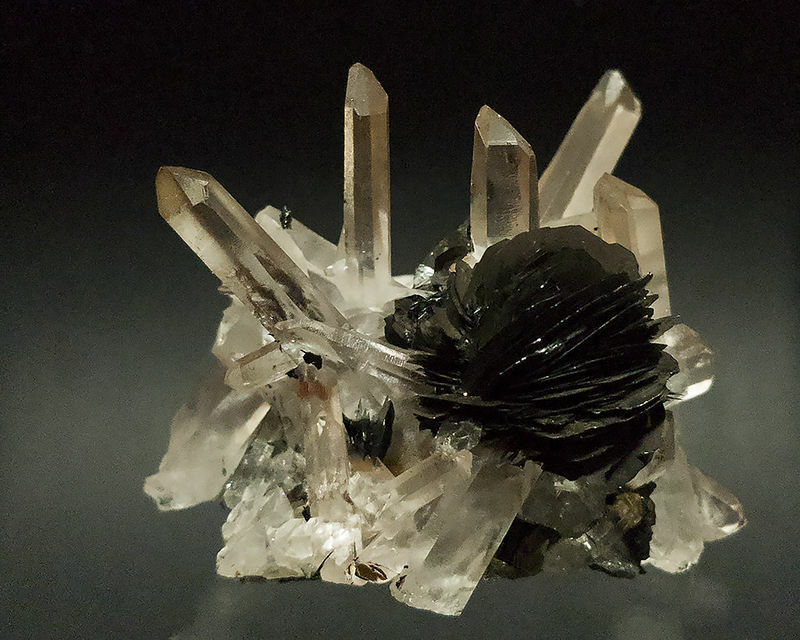 The small quartz crystals are all well terminated, but many of the faces are partially covered with a thin coating. The coating makes the Quartz appear strange without magnification. It is difficult to photograph with my setup, but I have included a photo of the area that has the iron staining which makes seeing the coating easier. 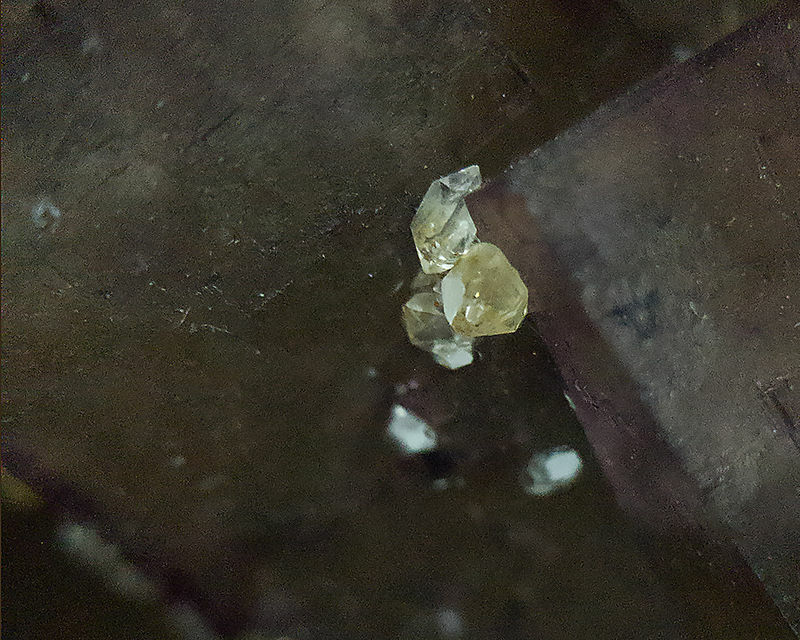 I thought the coating may have been Calcite or another mineral, but there is no reaction to vinegar, so now I am thinking it is just microcrystalline Quartz. Poor photo taken with my phone and a loupe.